Oh, time again to review another Dumle variety. And another Christmas item! 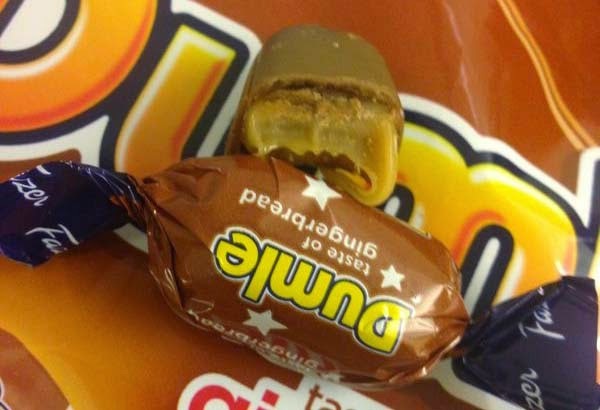 Earlier I reviewed Dumle Dark and Dumle Snacks. 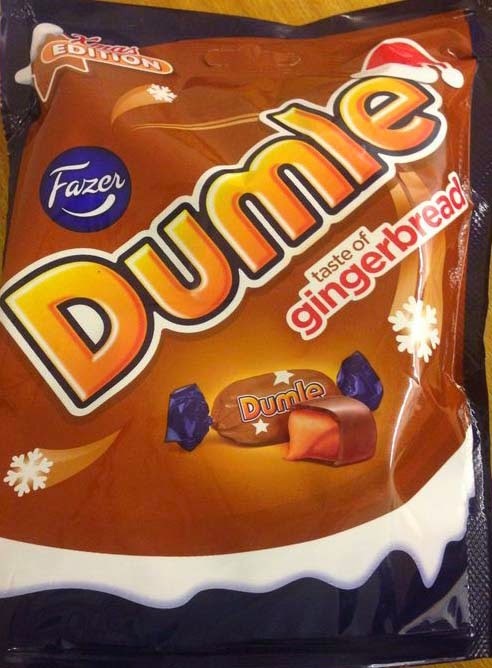 For some Christmas Seasons now Dumle, these lovely chocolates filled with chewy toffee, has launched a Dumle Gingerbread variety.